Mid-range multi-lock door breacher. Power to the operator. The Libervit HR5 is a mid-range door opener, well suited to breach multi-lock doors with extensive horizontal spreading and pushing force. It can be used to open wooden, metal or PVC doors, single or multi-lock inward opening doors. The HR5 is placed horizontally on the door frame. It is equipped with an exclusive telescopic rod system with a “Hextend” quick-lock and it can be adjusted in length to reduce installation time in front of the door . 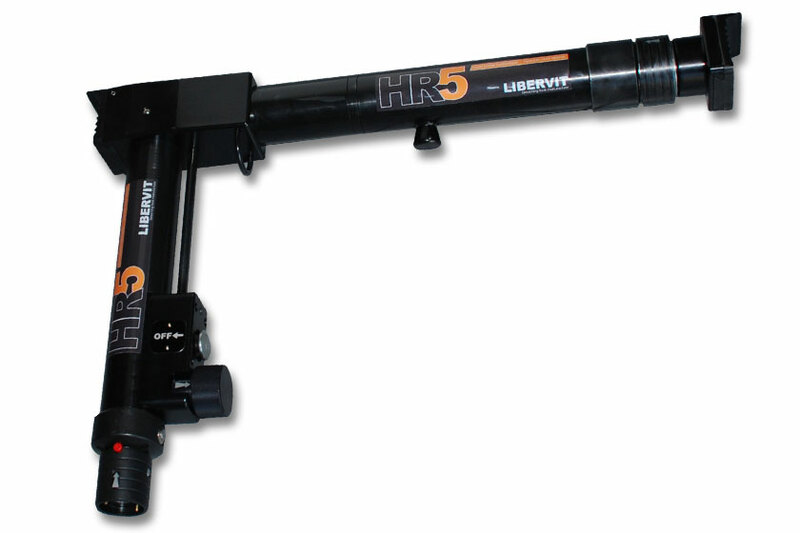 The HR5 can be power supplied by our hydraulic power units GHP , POWERCASE or the PMP64 manual pump. An adapted hydraulic hose is necessary to connect the tool to the hydraulic power unit or manual pump. The HR5 can also be remotely controlled once installed, ensuring complete safety for the operator in any high-risk situation or when working with an explosive-rigged door . Once the door has been breached and the release switch has been activated, the tool can be immediately removed from the door . All control switches are on the tool itself , which means that not only installation of the horizontal cylinder can be carried out by one person, but also activation of the jack push-force. 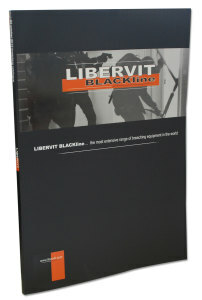 For more information about the Libervit HR5 including technical specifications, videos and other material, please contact us by completing the form below.